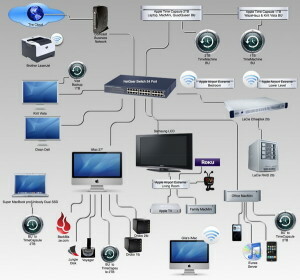 Home networking is a residence-based connection of multiple computers, printers and other group of devices. This local area network is becoming more and more popular especially this day and age, wherein computers have become an essential feature of almost every home. In fact, there are many homes these days that have more than one computer. It is a common scenario wherein each member of the household has his or her own laptop or PC. Files, printers, scanners, Internet connection and other devices often need to be shared between family members. With this, having the computers connected via a home area network is simply practical. Home networking can be done in two ways: Wired and wireless. 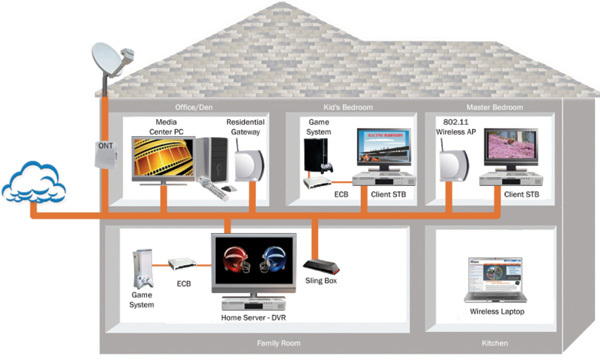 A wired home network usually connects devices such as printers, scanners and other devices with cables. On the other hand, wireless networks connect devices without cables like tablets and e-readers. One of the major advantages of configuring a home network in a household having multiple computers is shared Internet access. Configuring a home network, particularly a wireless connection will allow your family members to access the Internet conveniently from their respective location of your choice throughout your home. All computers can be provided Internet connection without the need to physically connect to the modem. Meanwhile, network-attached storage devices or printers, if there’s any, must be located in common areas for best advantage. Sharing files can also be done less complicatedly by home networking, provided there’s an effective storage solution. In most computers, buildup of old files often happens. When there is no enough space on your hard disk due to too many old files, there would be a need to transfer these old ones in order to create and store new files. An effective way to deal with this is to transfer files from the limited memory space computer to any of the other computers which still have adequate space. Your family can even designate a computer as your main file server, which will store all important yet old files. And each time anyone in the family needs to access something from the file server, he or she has to connect to the file server via home network system to retrieve it. Having this kind of storage solution would make data handling simpler. Easy information exchange also encourages multiplayer gaming and file printing via printer sharing. Home networking is relatively affordable as well. With a reliable network, you would only need to pay for a single Internet connection to be utilized by multiple computers in your household. Just ensure to look for a high-speed Internet connection solution. To maximize the connection cost, look for a provider that offers enhanced level of security to protect your network from any unauthorized access. The configuration of any home network should be done thoroughly and must be accurately documented. You’ll need the reference documents to maximize your installation experience as well as to ensure that you establish a precise connection successfully. You can also ask help from professionals to configure and educate you on your desired home network technology.